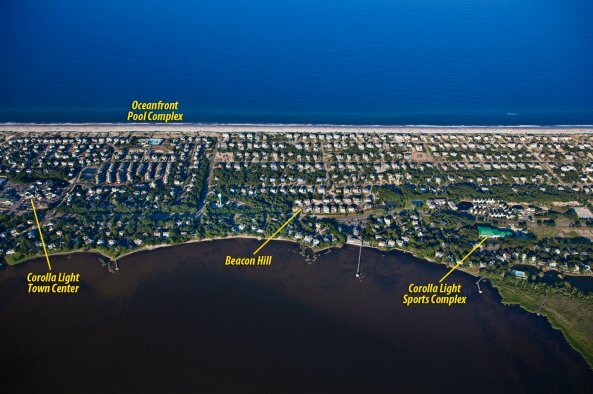 Beacon Hill is a part of the Corolla Light community, featuring access to all of its award-winning amenities. Take the trolley to the oceanfront complex, with its three pools, beach access, snack bar, restaurant, shuffleboard and basketball. Or take the trolley to the sports center and soundside pool. And don't forget the Corolla Light Town Center, with lots of shopping and dining options, nearby. If you prefer to drive, you are close to all the public beach accesses with parking in the community of Whalehead, shopping at Tim Buck II and Monteray Plaza, or the historic sites at the Whalehead Club and Corolla Village.